Telefunken MC 1 Cassette Deck for sale. Total aluminium chassis, works perfectly, optics: Front panel is in very good condition, but many scraches on top. Featuring Dolby, High Com, MPX, Repeat and memory programming. 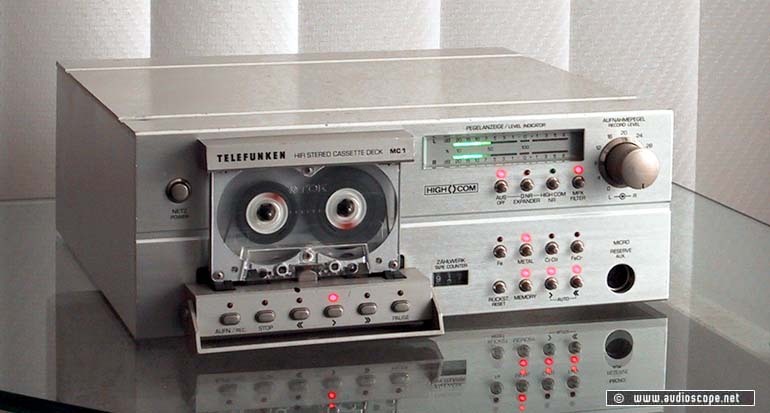 Mmetal tape capable.